Share the post "Breaking the Grass Ceiling: New Jersey’s “Annie’s Project” Featured in National Farming Magazine"
Owner of Gary C. Hartung Farms, Michell Hartung has participated in Annie’s Project New Jersey. The nationally acclaimed farm business educational program for farm women, Annie’s Project, helps women in farming strengthen their farm management experiences and network with other women working in the highly complex business of farming. The program, which operates in 33 states across the U.S., is offered in New Jersey through Rutgers Cooperative Extension, a unit of the New Jersey Agricultural Experiment Station. 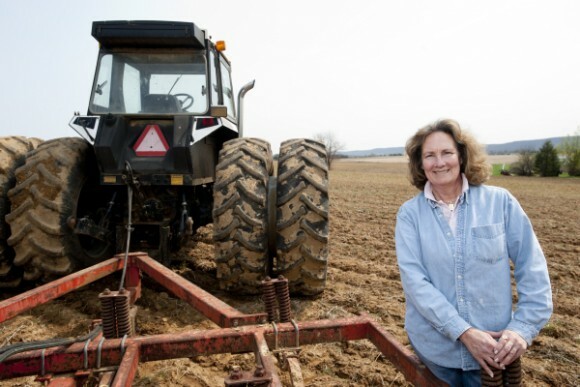 The national magazine Farming covered Annie’s Project in its October 2015 issue and prominently featured Annie’s Project New Jersey, which offers New Jersey women farmers the tools to help them succeed. Read more at Farming.